This large bellflower, which can grow up to 40cm in height when in full flower, starts its cycle with a low-growing leafy rosette which appears during its first year. It develops flowers from its second year onwards. 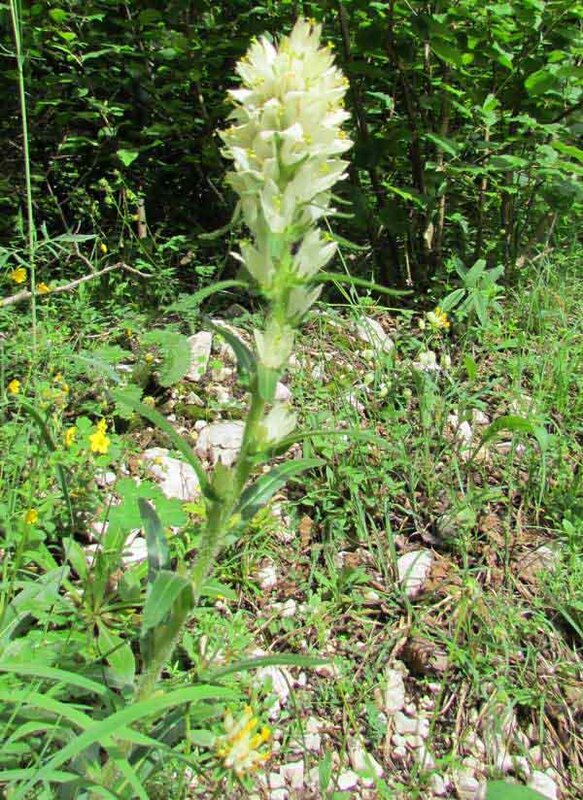 It is unique in Europe as the only Campanula species with yellow flowers (although the flowers are actually more nearly white than yellow!). 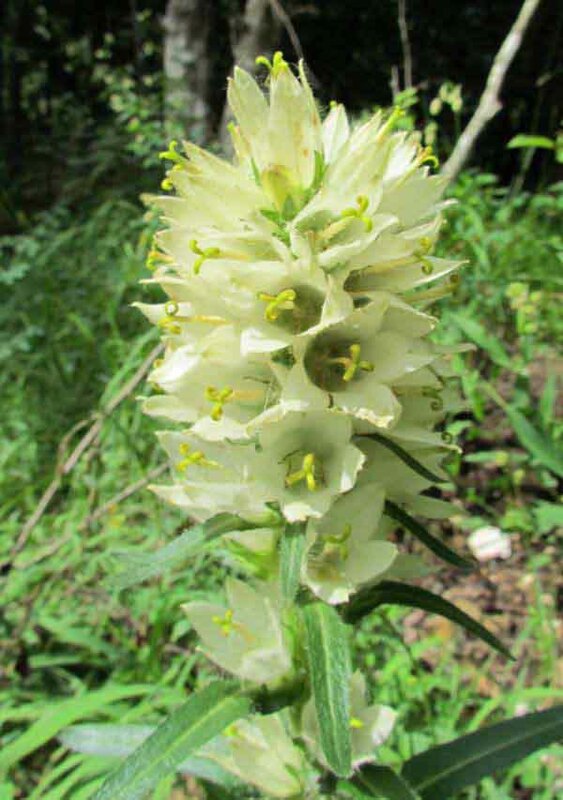 Although called Yellow Bellflower, the examples that we have seen have all had creamy-white flowers..
Campanula thyrsoides grows in rather dry conditions in limestone and calcareious habitats, on woodland edges and in meadows and in other rocky places. Its territory in Europe includes alpine parts of Germany, France, Italy, Austria, Switerland and the Julian Alps in Slovenia, as well as the Balkans. Yellow Bellflower produces neat columns of flowers from mid June to mid September. The specimen shown on this page was photographed in Slovenia.